This clinic is suited for the advanced professional horse owners, trainers, equine therapists, veterinarians, and all equine professionals. Techniques taught in this clinic will increase the participants skill set and effectiveness. Advanced Osteopathy 1 Course (EQOST I) is the first course in the Advanced Osteopathy Certification Program. Each Osteopath Course builds on the previous course and it is important to take each course in order. 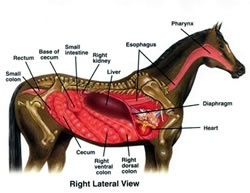 Students interested in becoming certified in the Integrated Equine Therapies Advanced Osteopathy will need to complete all 4 courses and enroll in the Certification Program. These courses are suitable for horse owners, trainers, equine therapist, veterinarians, and all equine professionals. Techniques taught in this clinic will increase your skill set and enhance your effectiveness. Advanced Osteopathy 2 Course (EQOST 2) is the second course in the Advanced Osteopathy Certification Program. Each Osteopath Course builds on the previous course and it is important to take each course in order. Students interested in becoming certified in the Integrated Equine Therapies Advanced Osteopathy will need to complete all 4 courses and enroll in the Certification Program. These courses are suitable for horse owners, trainers, equine therapist, veterinarians, and all equine professionals. Techniques taught in this clinic will increase your skill set and enhance your effectiveness.